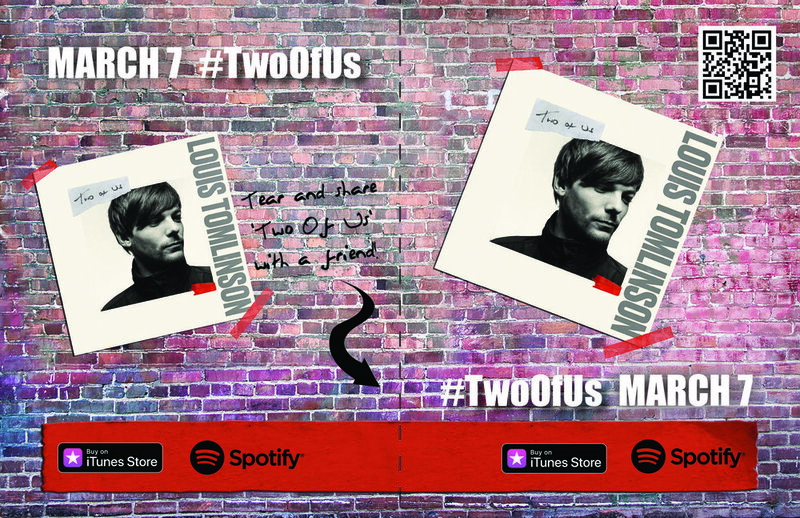 This page features promo flyers fans can use to promote Louis Tomlinson and his music. Do you have a promo flyer for Two Of Us that you’d like to share for people to print and post? Submit them to amy@lthqofficial.com and we’ll post them here! Two Of Us Tear and Share Flyer - one for you and one to give to a friend! Right click, save, and print!